We are a interior shop of Japanese traditional technique "KUMIKO" in Kyoto. "KUMIKO" is a traditional crafting technique that dates from the Asuka period. We would like to send many people them as some modern interiors! All products that J life gifts are providing are J WOOD products. It is a product that is produced carefully and accurately, and has built up trust and track record with a lot of customers in 30 years from the foundation. 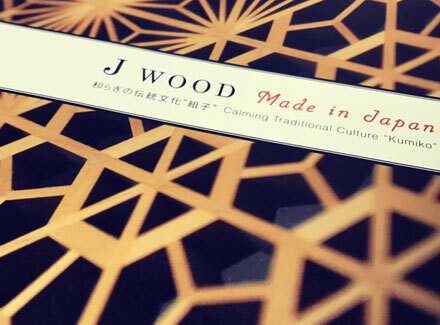 Please click here for the homepage of J Wood which has made the "Calming Traditional Culture". J LIFE gifts have pursued three points of simplicity. We value them when we make KUMIKO items, because we would like to tell everyone charms of KUMIKO and wooden crafts. You can try to make KUMIKO in Kyoto. Everyone can enjoy Japanese traditional technique like puzzle! Fit naturally into your lifestyle. You can have a look more beautiful pictures of KUMIKO at this photo gallery! 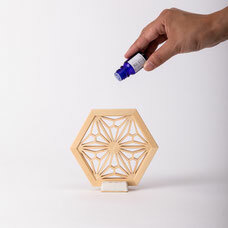 Have you heard of KUMIKO crafts? KUMIKO craft is one of Japanese traditional craft and technique. 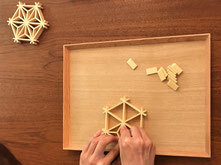 No nails nor glue are used to combine small wood pieces to make KUMIKO. The key to make KUMIKO is its unique holes and the gaps in the pieces, and they enable the craftsman to create more than two hundred patterns by combining the pieces. Even a 0.1mm error is crucial, thus KUMIKO craft mans' extraordinary skills and techniques are essential in crafting KUMIKO. In addition to the skills and techniques, knowledge of characteristics of Japanese woods highly influences the completion of KUMIKO making. Ten years, KUMIKO craftsmen have to spend to achieve the level to create such high-end Japanese crafts. The origin of KUMIKO is said to be the Asuka era, and the earliest KUMIKO of Japan is in the Kondo of Horyuji Temple. Until today, the charm of the KUMIKO has been handed down by craftsmen. The work that has been carefully crafted from processing to assembly by the Craftsman will be the one that can continue using for many years. And it will last your whole life.